The ANDEMIA consortium includes partner institutions and sentinel sites at four sub-Saharan African countries, as well a German public health institution. Chantal Akoua-Koffi, the Principal Investigator (PI) of one of the partner institutions at Côte d’Ivoire, is coordinating the network. The Centre Muraz (CM) is the national health research institute of BF, with the mission to contribute to the prevention, diagnosis and control of communicable and non-communicable diseases through the provision of quality health research, training and technical expertise. CM laboratories cover parasitology, bacteriology, virology, and molecular biology. The partner is involved in surveillance (WHO yellow fever) and laboratory networks (Network of Laboratories in West Africa). With its complex of library and international conference rooms (CEDIS), the partner offers an important platform for training activities of the project and already cooperates with AFENET in a Master’s program. A data management centre completes this platform. The CHU Bouaké, situated in central CI, is a center for clinical investigation and research on various tropical and common diseases. C. Akoua-Koffi is head of the diagnostics laboratory (virology, bacteriology, parasitology) of the University of Bouaké and has extensive expertise in diagnostics and disease surveillance, including respiratory and gastrointestinal syndromes, and teaching. The partner is linked to several WHO programs and well established in Western and Central Africa in the field of community health. By including this partner institution, ANDEMIA will strengthen the public health sector and research capabilities in neglected areas of Western SSA and will guarantee a competent lead of the ANDEMIA network. 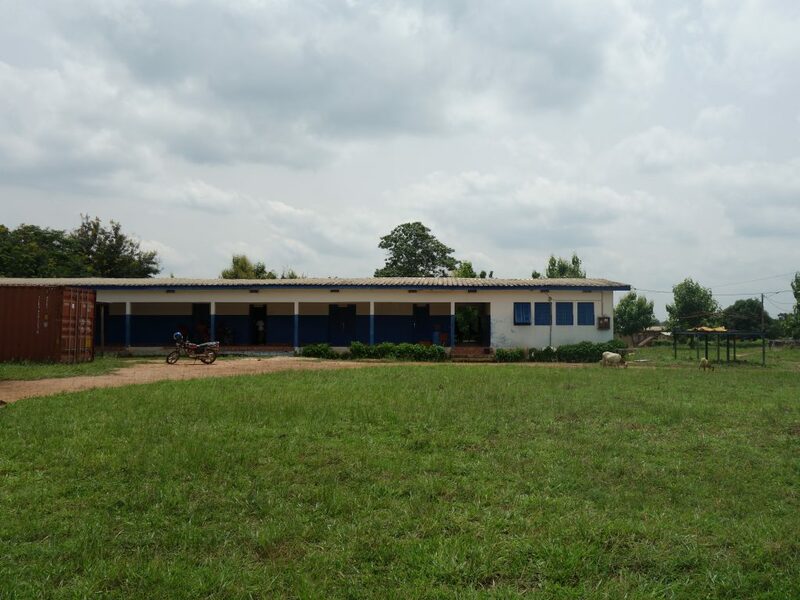 The LANADA/LCVB provides the national veterinary service and is a West African reference laboratory for various bacterial and viral diseases (e.g. “Pest des Petites Ruminants”, African Swine Fever (FAO/IAEA)). The partner is (in conjunction with the veterinary service of the National Institute for Biomedical Research at DRC) responsible for the investigation of animal reservoirs for drug resistant and zoonotic pathogens in SSA. LANADA also plays a central role in the coordination of field investigations. The INRB is the national public health laboratory of the DRC and also hosts the central veterinary laboratory, providing the direct link to zoonotic disease investigation in humans and animals, communicable disease surveillance, and applied biomedical research on infectious diseases. INRB consists of bacteriology, immunology, parasitology, virology and pathology units, and is a WHO center for poliomyelitis, measles and yellow fever. Laboratory capacities cover, e.g., the detection of viral respiratory infections and bacteremia in children, and surveillance of antimicrobial resistance in invasive non typhoidal salmonellosis. The main research infrastructure available for the project includes advanced diagnostic techniques. The INRB will also lead the field investigations in DRC and, as a member of the training network Southern African Centre for Infectious Disease Surveillance (SACIDS), will provide a platform for hands-on workshops. The partner at the University of Kinshasa has a strong research focus on respiratory diseases, particularly infectious diseases of the lung (including parasitic) and is a WHO expert in the local investigations committee, as well as a member of the government specific committee for emergent and re-emergent infectious diseases. Through his position as national coordinator of SACIDS and a strong personal focus on student mentorship, this partner will play a central role in the training component of ANDEMIA. The second pair of sentinel sites is currently being selected. The RKI is the German federal institution for disease control and prevention, and provides national and European reference diagnostics, surveillance and management plans for, e.g., gastrointestinal and respiratory infectious diseases. RKI hosts the national reference laboratories for various network-relevant pathogens, and is broadly linked to European and international health institutions. RKI runs national surveillance systems for antibiotic use and resistance and leads the Commission for Anti-Infective Drugs, Resistance and Therapy (ART) and is the leading organization in outbreak control in the field. It provides diagnostic quality assessment studies (internal and EU partners) and diagnostic and quality training, as well as biosafety on multiple biosecurity levels. RKI is highly engaged in the training component of ANDEMIA and offers and coordinates individual capacity building. NICD is the national public health institute for infectious diseases and provides reference laboratory facilities (also in the framework of global programs of the WHO) for microbiology, virology, parasitology, mycology, epidemiology, and surveillance, and public health response to infectious disease threats. NICD has established cooperative agreements with partner national public health institutions such as the Centers for Disease Control and Prevention (CDC) and National Institutes of Health (NIH)/ National Institute of Allergy and Infectious Diseases (NIAID) of the USA, the European Centre for Disease Control (ECDC) and the Health Protection Agency (HPA) of the United Kingdom. The partner at NICD is involved directly in research and surveillance ofrespiratory and gastrointestinal pathogens. The high commitment to training is documented by a strong involvement in the SACIDS network. NICD (in collaboration with the University of Pretoria) has the capacities to teach African laboratories on differential diagnosis in areas with limited infrastructure or field laboratories. UP conducts research and provides diagnostic services in virology to the public and private sector. The partner established research programs in vector borne viral diseases with projects in the fields of molecular epidemiology, virus discovery, genomics, vaccines, ecology and pathogenesis of emerging vector-borne viruses associated with neurological disease in humans and animals. A particular strength and value for the project lies in the development of low-cost, time efficient diagnostic tools and tools for virus discovery (e.g. multiplex formats), which especially less developed partners and sentinel sites will profit from. The partner further prioritizes teaching and training medical scientists, who will be able to make a significant contribution in the field of virology in sub-Saharan Africa.